With ample room use this Professional Patient Service & Account Records Form to maintain accurate, ongoing documentation of patient visits and findings. Made of Quality 32# White Ledger Paper Stock. Printed 2 Sides, 250 per box size is 11" x 8-1/2". 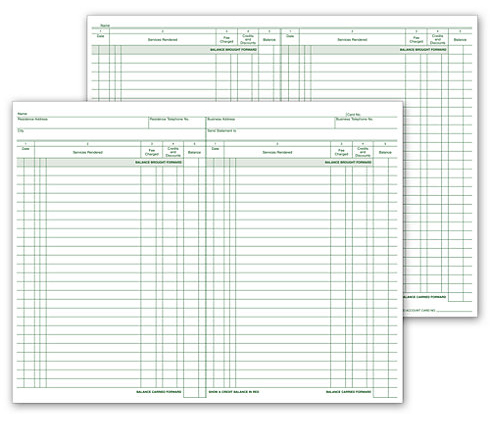 6263, Professional Service & Account Record Forms - Double Sided 8-1/2" x 11"